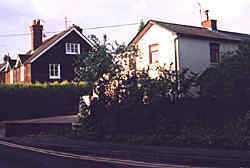 Cranleigh was the largest village served by the Guildford to Horsham Direct Railway. 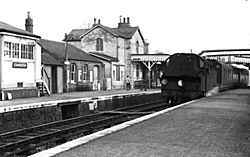 It's station was in the middle of the village, with a small goods yard and coal depot. 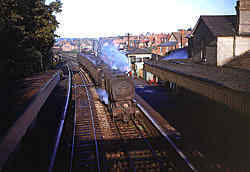 It was built as a single track line, but in later years, a 'passing loop' and second platform were built. 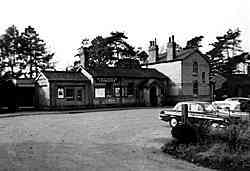 The front of the station building was slightly set back from the the High Street. 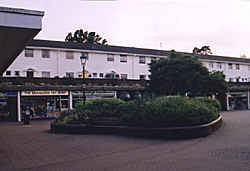 It is now a row of shops, with Maisonettes above, and is called 'Stocklund Square'. 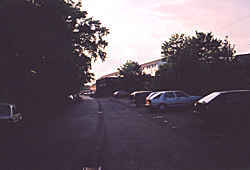 Behind Stocklund Square is it's loading bay, this is where the lines ran. 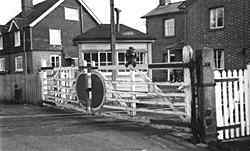 The level crossing's gate house can be seen at the end of the platform, brick in 1965, but today painted white. 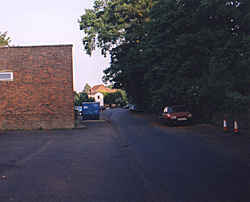 These shots are taken facing east towards Horsham. Looking east towards Horsham again, this time from Platform 2 on two different occasions. 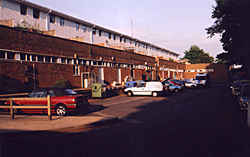 Today the back of Stocklund Square's shops can be seen with the white maisonettes above. 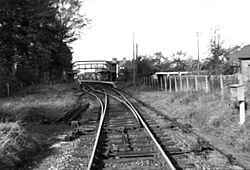 Looking west towards Guildford from Cranleigh's level crossing, that allowed trains to cross over Knowle Lane. 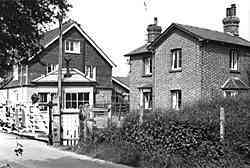 Standing in Knowle Lane looking North-East across the level crossing to the Gate House. 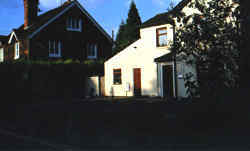 Today the building has been painted white, but is still called 'The Gate House'. A similar view to above, taken slightly further up Knowle Lane. 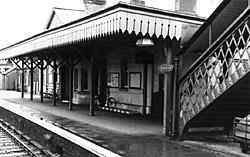 Platform 1. From this angle, it's presumably taken from a trian. 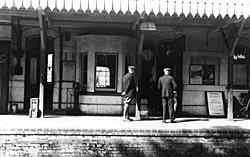 Platform 1's ticket office & waiting room. 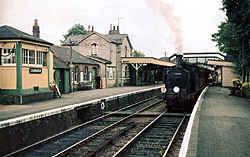 Taken from Platform 2. 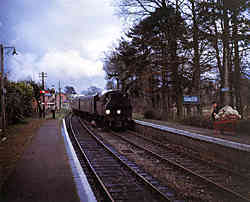 Last day of normal service on the line, a train from Horsham pulling into Cranleigh. Taken from the passenger foot bridge. 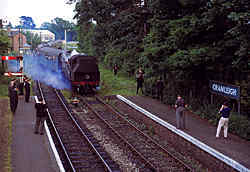 A 'Sunday Special' train from Guildford, pulling into Cranleigh the weekend after the line officially closed to normal service.